The NC-QB Watershed Renewal Program program is a collaboration between Nile Creek Enhancement Society (NCES), Trout Unlimited Canada (TUC) and Vancouver Island University, Fisheries and Aquaculture and Geoscience (VIU). Marc Gaboury, Fisheries Biologist/Restoration Ecologist with LGL Limited, has been working with VIU fisheries students to collect data on each of the area streams. Dr. Steve Earle, VIU Geoscience, has been working with his students to gain a better understanding of the groundwater resources feeding local streams and our water supply. These data are used to determine what restoration is needed for each system. The Qualicum Bay area runs from Qualicum to Bowser on central Vancouver Island, with all the rivers and creeks emptying into the Strait of Georgia. The largest water body in area is the Big Qualicum River, a site of a major hatchery facility. Nile Creek, which was once known locally as the Pink River, due to the huge numbers of Pink salmon returning to spawn, was famous for its flyfishing until the 1940’s. This creek was restored in the 1990s and is now a vibrant stream, with large numbers of Pink salmon returning, along with Coho, Chum, Cutthroat Trout and Dolly Vardens. People have come from all over the world to this area to fish for Coho, Steelhead, Sea-run Cutthroat trout and other salmonids. Other smaller streams in the area, such as Thames Creek, Ridgwil Creek, Nash Creek, Black Brook, Anne Creek and Westglade Creek also supported runs of Coho, Chum and Pink salmon, Sea-run Cutthroat trout, and resident Dolly Varden, but today, fish resources in this area are a shadow of what they once were. For example, Sea-run Cutthroat fishing near Nile Creek was once considered to be the finest on South-east Vancouver Island. Smaller creeks in the area represent untapped enhancement potential, but each stream has its own set of problems and is in need of work to restore historical fish production potential. Each stream has been impacted at one time or another by various land use. These impacts have affected or sometimes destroyed fish runs. The Qualicum Bay area is an area of “accretion”. Material moves from the south to the north at quite an incredible rate, blocking the majority of the creeks each winter with sand and gravel, preventing the fish from moving freely in and out of the streams. Natural recruitment of Pink salmon eggs in the system does not seem to provide the numbers of fish needed to fully seed this system. Chum salmon, natural gravel cleaners, have disappeared from many of these small creeks. Create specially designed groins at the mouths of the streams to prevent blockage during winter storms. Work with landowners to restore the streams crossing their property. Where runs have been lost or diminished, most of the critical habitat is intact, making restoration possible. 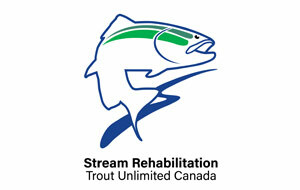 Create and employ restoration prescriptions for each creek. This area has excellent potential for enhancing our recreational fishery through these restoration projects. Each stream restoration will provide further protection of our watershed that serves the creeks and the residents living in this area.